Play more video games. Researchers put Super Mario 64 to the test on a small sample of gamers and find it increases gray matter in some areas of the brain. This is your brain. This is your brain on Super Mario 64. See how the gray matter is increased? A new study published in the journal Molecular Psychiatry suggests a whole lot of benefits to playing video games. The study concludes that "video gaming causes increases in the brain regions responsible for spatial orientation, memory formation, and strategic planning, as well as fine motor skills." The research was conducted jointly by the Max Planck Institute for Human Development and Charite University Medicine St. Hedwig-Krankenhaus, both located in Berlin. Scientists had 23 adults play Super Mario 64 on a Nintendo XXL for 30 minutes each day for two months. A control group played no video games for the same time period. Brain scans showed the gamer group had "significant" increased gray matter in the right hippocampus, right prefrontal cortex, and cerebellum. There was also a correlation between the gamers' reported desire to play and the amount of the increase. You can try that as an excuse the next time someone complains about how much time you're spending with your console. 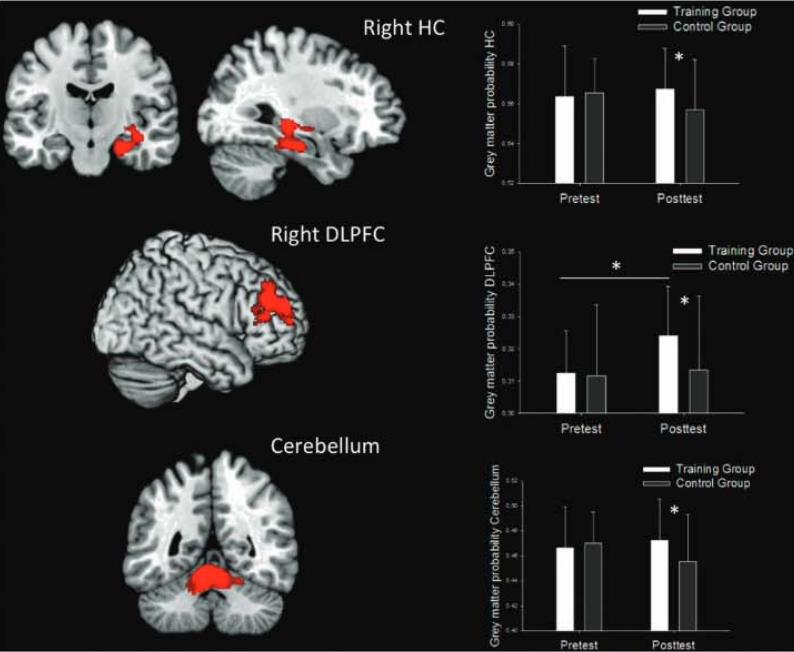 "While previous studies have shown differences in brain structure of video gamers, the present study can demonstrate the direct causal link between video gaming and a volumetric brain increase. This proves that specific brain regions can be trained by means of video games," reports Simone Kuhn, a study leader and scientist with the Max Planck Institute. Researchers hope the information gleaned from the study could help direct the use of video games as therapy for patients with mental disorders such as post-traumatic stress disorder and schizophrenia by targeting certain areas of the brain. Video games have already made their way into health treatments. A study by North Carolina State University found that gaming seniors were less likely to be depressed. Game mechanics have been integrated into physical therapy equipment. Re-Mission, a game that involves blasting cancer cells, was developed to help motivate young adults with cancer. The brain research out of Germany certainly opens up more doors for studying the effects of gaming on the brain. It would be interesting to use a larger participant group, and even investigate the impact of different kinds of game. Would the study get the same results with Grand Theft Auto or Myst?